We all know that crime occurs in today’s global society almost every day, whether it be theft, murder, or arson. Crime doesn’t only occur out into the world. Individuals and groups (organized, business, and companies) are always looking to steal personal information, hack, and crash computers via the internet. 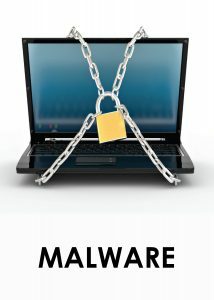 Stealing personal data and crashing computers are usually done by malware, which can be found in files or programs that were downloaded from the web. Malware can harm you and/or your computer in other ways. A file or program that contains malware can deal a variety of damage simultaneously in one shot. The good news is you can get rid of malware. Back-up any vital data and any other items you wish to make copies of. Malware can potentially lead to you having to perform a system restore, which will permanently delete any files and programs that were on the affected computer. You’ve done a back-up. It’s now time to build up a defense against Malware. There are anti-computer threat programs that require you to pay, and there are a handful of those that are completely free. Computers that are running Windows 8 automatically receive Windows Defender, a solid form of defense against all computer-based threats. It’s always running, whether you’re online or offline. Any incoming threat is dealt with as Windows Defender remains on. To maximize your protection, download and install one or two more free anti-virus programs. This is in addition to a paid program. Norton is one that you should consider. If you don’t have Windows Defender, then get two or three free anti-virus programs. Once you install the anti-virus programs of choice, close out any other programs and web browsers. Select any anti-virus program from your arsenal of anti-Malware weaponry. Check to see if there’s any software update. Afterwards, update the definitions list of said program to be protected from the latest threats. Both of these are generally done in the “settings” and/or “update” section(s). Finally, select the “do a full scan” option at the main interface screen in the program. Let the program do its thing. Don’t open up any other programs while the scan is still in progress. Once the scan is complete, choose whichever option removes the detected threat(s). Rinse and repeat all of these steps with the following anti-virus programs you’ve chosen to get. Another thing to keep in mind is to not open any emails from senders that you don’t recognize. Same concept applies to when someone’s sending you a file in a chat program. Don’t open it unless you know who’s sending it to you.